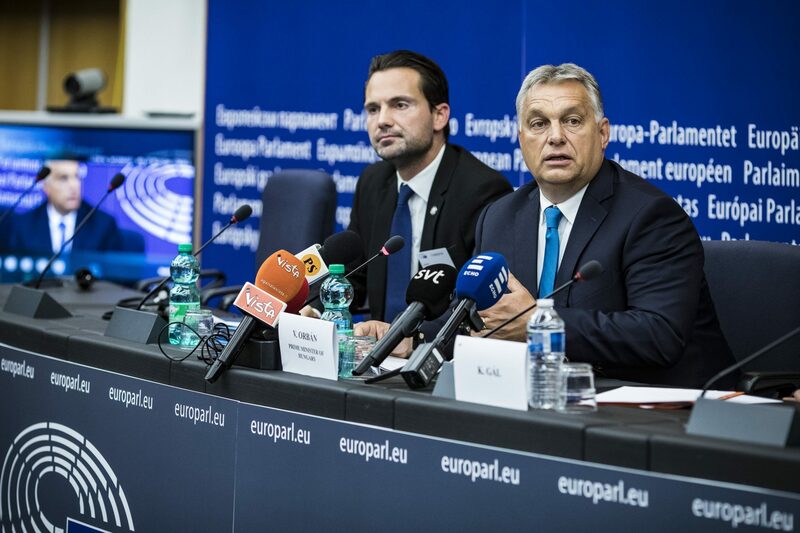 The European Parliament’s approval of the Sargentini report “condemning Hungary” is “one of the biggest mistakes” the legislative body has ever made, Arnold Vaatz, deputy leader of the CDU/CSU group in Germany’s Bundestag, told Hungarian public media in Berlin on Wednesday. Vaatz said he “deeply regretted” the EP’s decision to approve the report criticising the state of the rule of law in Hungary, as well as the fact that a number of MEPs from his own party “took part in the operation to punish Hungary”. The politician said the EP’s move would have “destructive” consequences, as central and eastern European countries would now think more seriously about “how they can turn away from Europe”. Vaatz criticised the report’s findings about the state of press freedom in Hungary, saying that “the western Europeans who prepared the report” had assumed that the western European press was “completely free”, when in reality, looking at the functioning of the German media, “it is questionable whether that really is the case”. The European Parliament’s approval of the Sargentini report criticising the state of the rule of law in Hungary is nothing more than a “massive power grab”, Nigel Farage, the head of the EP’s Europe of Freedom and Direct Democracy group, told public news channel M1 on Wednesday. The report’s premise that Hungary has ceased to be a democratic nation and is moving towards autocracy is “wrong”, Farage said. “Your values in Hungary that your voters have turned out in elections to say they want represented are not respected by the European Union,” he added. Farage said the EU — with the backing of US financier George Soros “and people like that” — wanted to “break down” nation states and “change the entire identity of the entire continent”. Commenting on Tuesday’s EP debate, he said he found it “hard to believe” that someone like Hungarian Prime Minister Viktor Orbán could sit through a “modern-day version of a communist show trial with people standing up and pointing the finger and shouting at him.” Farage said the debate had been “deeply humiliating” not just for Hungary but for Orbán as well.